Lovely feminine style in the U.K. made show shirt. Has a button for wrap collar so you can add your own. Sorry this one lost hers hence sale price. 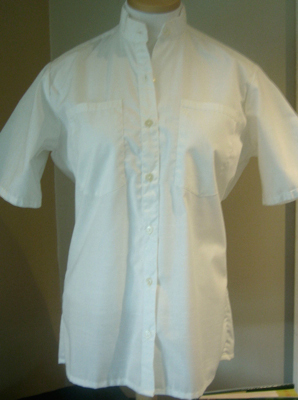 Made of easy wash 65% poly/35% cotton with short sleeves.